The p value and Bayesian methods have well known drawbacks when it comes to measuring the strength of the evidence supporting one hypothesis over another. To overcome those drawbacks, this paper proposes an alternative method of quantifying how much support a hypothesis has from evidence consisting of data. The special law of likelihood has many advantages over more commonly used approaches to measuring the strength of statistical evidence. However, it only can measure the support of a hypothesis that corresponds to a single distribution. The proposed general law of likelihood also can measure the extent to which the data support a hypothesis that corresponds to multiple distributions. That is accomplished by formalizing inference to the best explanation. 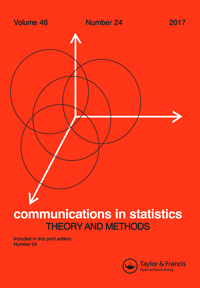 Two problems confronting the eclectic approach to statistics result from its lack of a unifying theoretical foundation. First, there is typically no continuity between a p-value reported as a level of evidence for a hypothesis in the absence of the information needed to estimate a relevant prior on one hand and an estimated posterior probability of a hypothesis reported in the presence of such information on the other hand. Second, the empirical Bayes methods recommended do not propagate the uncertainty due to estimating the prior. The latter problem is addressed by applying a coherent form of fiducial inference to hierarchical models, yielding empirical Bayes set estimates that reflect uncertainty in estimating the prior. Plugging in the maximum likelihood estimator, while not propagating that uncertainty, provides continuity from single comparisons to large numbers of comparisons. Parametric empirical Bayes methods of estimating the local false discovery rate by maximum likelihood apply not only to the large-scale settings for which they were developed, but, with a simple modification, also to small numbers of comparisons. In fact, data for a single comparison are sufficient under broad conditions, as seen from applications to measurements of the abundance levels of 20 proteins and from simulation studies with confidence-based inference as the competitor.